Point à la ligne: Go Nuts For Your Health! We just eat them the wrong way! Most of the time we have them roasted and salted, or even extra salted! They, then, lose their virtues and become harmful. The best way to ensure you’re getting the most out of nuts is to eat them raw! We will discuss the benefits of nuts as well as how you can include them in your diet. Nuts are a very good source of vitamins, minerals and the famous omega-3 fatty acid. In fact they provide iron, potassium, calcium, magnesium, selenium and zinc. They also contain vitamin E and B12 (folic acid). They are naturally cholesterol free and low in sodium. So can you imagine what a great food they are? Scientific evidence suggests that eating 1.5 ounces (or 45g or a handful and a half) per day of most nuts as part of a diet low in saturated fat and cholesterol may help lower the risk of heart disease. In fact, nuts are rich in mono and polyunsaturated fats (the good fats) such as omega-3 which help reduce LDL-cholesterol (the bad cholesterol) and increase the HDL-cholesterol (the good one!). According to the FDA, only almonds, hazelnuts, peanuts, pecans, some pine nuts, pistachio nuts and walnuts are eligible for this claim. This food group is also recommended in the DASH diet (Dietary Approaches to stop hypertension). 4 to 5 servings a week are recommended in order to help reduce blood pressure. Their content in vitamin E, selenium and folic acid, as well as phenolic compounds vegetable fibers and phytoestrogens, all powerful antioxidants, may help reduce some types of cancer. Now you’re probably thinking “Nuts are rich in fat so, even if raw, I shouldn’t have them while dieting”. Well, this is not true! Studies suggest that including peanuts and tree nuts in your diet may improve compliance to the diet and eventually weight loss. This is probably due to the satiating effect of nuts. But of course, the quantities should be specified by your dietitian! One of the most asked questions in a clinic is: “What can I snack on?” Now you’ve got your answer. A handful of raw nuts every day can replace chips while watching television. You can also include a sprinkle of nuts in your salads or even in some recipes. Chinese food is the best example. Their recipes always contain almonds, cashew or pine nuts. And if you’re craving roasted ones, you can always use the microwave and in 5 minutes have your own roasted healthy nuts. WHAT IS A HANDFUL OF NUTS? A handful of nuts contain 160 calories. I guess now a lot of you, including my own brother, will try not to put the nuts aside while eating. And maybe you will start liking them for their virtues. You might also want to pay focus on the bezel. Divers have kid see the level of time they've been under your, so it is recommended that that diving watches have a very good unidirectional passed timing bezel. A precise face at divers watches is extremely important also. The sharp face helps you to quickly look at the face belonging to the watch to check out your precious time. If you can't Replica Rolex watches quickly look replica breitling watches into your precious time, you can overstay in the bottom. You evaluations pay focus replica U-Boat Watches on the durability belonging to imitation Panerai watches the dive running watches. Another item to look into is that accuracy. Furthermore you will want taking the effectiveness replica IWC watches UK of the all scuba divers watches under consideration. Their formulas dependably contain almonds, cashew or pine nuts. This is cool post and i appreciate to peruse this post. 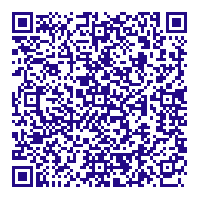 your web journal is phenomenal and you have great staff in your online journal. Business development strategy online is the world's leading Marketing Platform - providing marketing strategy and business development strategy to small and medium businesses worldwide. If you need a strategy for your business, call us now ! Great information posted in this articles. Nuts are having many benefits for health. All nuts have different nutrition credentials and will offer various health benefits. Great post with a good healthy tip. Your blog is really good and there is lot to learn from your blog. Keep Updating. Awesome data posted in this articles. Generic Viagra Online http://www.naturalproductsinfo.net/generic-viagra.htmlNuts are having numerous advantages for wellbeing. All nuts have diverse sustenance accreditations and will offer different medical advantages. What's up, well put together online site you have got there. Nuts are the most essential nutrients that are rich in vitamin B group and great source of dietary fibers. Often people don't like to eat nuts, but they must be made aware of the benefits that our body can get from nuts. Each nut has their own benefits and can be consumed on persons needs. One can eat them as a snack in the morning. Nuts are the most essential nutrients that are rich in vitamin B group and great source of dietary fibers. Often people don't like to eat nuts, but they must be made aware of the benefits that our body can get from nuts. Nuts have lots of Argentine, an amino acid your body uses to make nitric oxide. 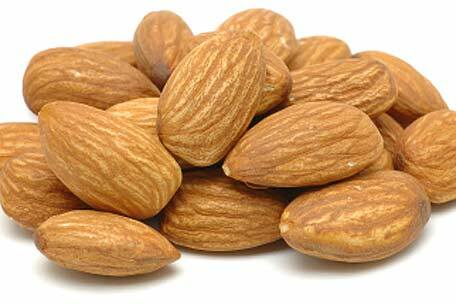 They are good sources of vitamin E, folic acid and fiber. Do not add more than a few small handfuls to your daily diet, though. Nuts are high in calories. 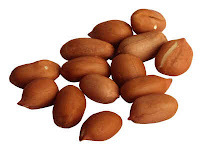 Nuts is the best for human health, It is under the vitamin B group. It is the best source for health and diet function you can also use Online Kamagra. Know about the Flaxseeds health benefits. One simple path is to actualize Accelerated Mobile Pages (AMP). You need to hold up under as a top priority that your client will barely hang tight for over 3 seconds for a page to stack.